Last weekend saw The LEGO Movie 2: The Second Part win its opening weekend at the box office, but the long-awaited sequel fell very shy of expectations with just $34.2 million. Surprisingly, with a trio of newcomers making their way to theaters for the Valentine's Day weekend, the animated follow-up should still hold onto the top spot. Meanwhile, it's going to be a fight between Fox's Alita: Battle Angel, Blumhouse's Happy Death Day 2U and Warner Bros.' Isn't It Romantic. The LEGO Movie 2: The Second Part should walk away on top once again with projections putting its second weekend haul between $20 and $25 million. The good news for Warner Bros. here is that its week-to-week drop will be very minimal. The Mike Mitchell-directed sequel has been met with generally favorable reviews from critics and moviegoers alike, but it's possible that the five year gap was just a bit too much time between installments to keep that same level of desire alive. It should be a pretty tight race between Happy Death Day 2U and Alita: Battle Angel for the number two spot. 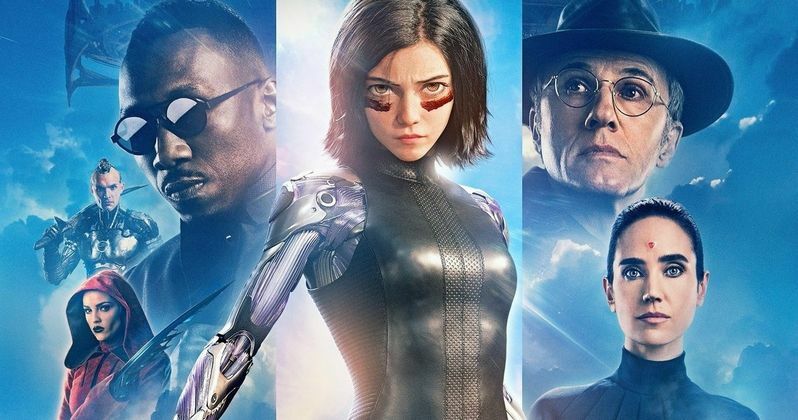 Fox stands to lose a lot more with Alita, which comes from producer James Cameron and was directed by Robert Rodriguez. The movie reportedly cost $170 million to produce and, even at the top end, $30 million over its first five days of release, it's looking grim. That's not great for such an expensive blockbuster, to say the least. On the flipside, Blumhouse and Universal should have another box office win on their hands either way with Happy Death Day 2U, which serves as a follow-up to the 2017 movie that is essentially a horror-themed version of Groundhog Day. Both star Jessica Rothe and director Christopher Landon return. As it stands, the sequel holds a reasonably solid 67 percent approval rating on Rotten Tomatoes. It's similarly looking at a $30 million haul over its first six days of release and $20 million over the weekend. Considering its modest $9 million reported budget, that's a win. Next up will be the Rebel Wilson and Liam Hemsworth romantic comedy, Isn't It Romantic, which should benefit a great deal from the Valentine's Day crowd. The movie sees Wilson's life actually transformed into a romantic comedy, with all the typical trappings. The latest from Warner Bros. and New Line should nab $14 million or so over the weekend, based on industry projections. Rounding out the top five will be What Men Want with around $11 million, again benefiting from the holiday weekend crowd. Be sure to check out our full list of weekend box office predictions below and check back with us on Sunday for the weekend estimates. These numbers come to us from Box Office Mojo.